It’s been a couple of years since I bought this set of Weber 6489 Corn Picks, aka corn holders. I thought I’d review them but never got around to cracking open the package until last week. It just wasn’t a priority for me. I mean, seriously, how much can you really say about corn picks? Not a very exciting product description, is it? So without much expectation, I removed the colorful cardboard packaging and found eight corn pics arranged neatly in a clear plastic box with the tradition Weber kettle silhouette logo on the cover. A nice presentation, for sure. 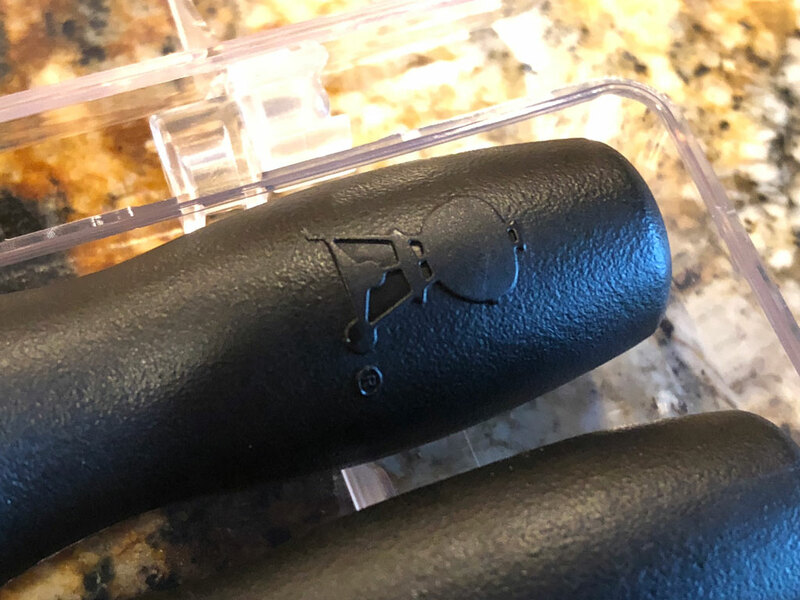 …and the first thing I noticed was the Weber kettle silhouette logo embossed on each pick. There’s no mistaking that these are Weber corn picks! They’ve plastered their logo on every surface possible! How about that? 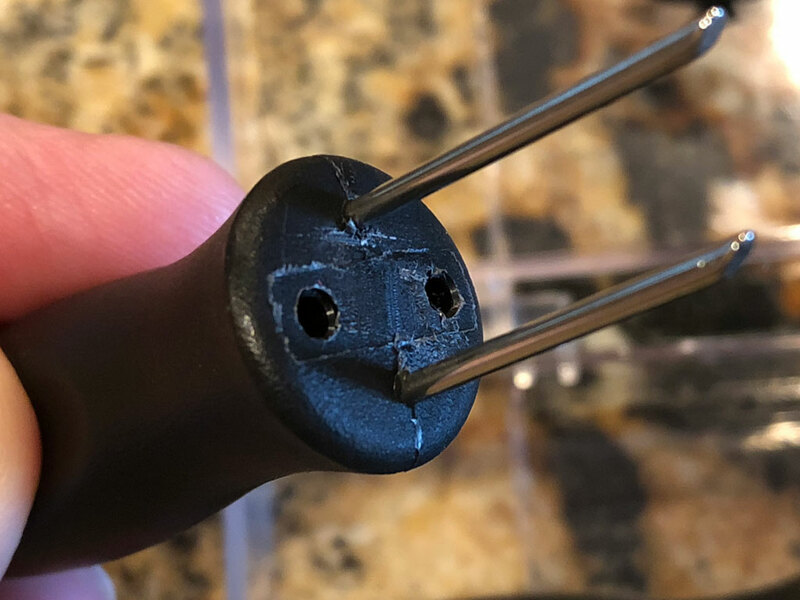 The picks connect together as a pair via holes in the base of each handle. Turn one pick 90° to the other, insert the ends of each pick into the holes, and gently press together until fully seated. This not only keeps the picks organized together neatly in pairs in the storage box, but it minimizes the size of the storage box, too. It can be tricky to align both ends to both sets of holes, but with some patience and decent hand-eye coordination you’ll put them together in no time. Now, in doing more research on the subject of corn picks, it turns out that there are several brands of picks that also feature an interlocking design. 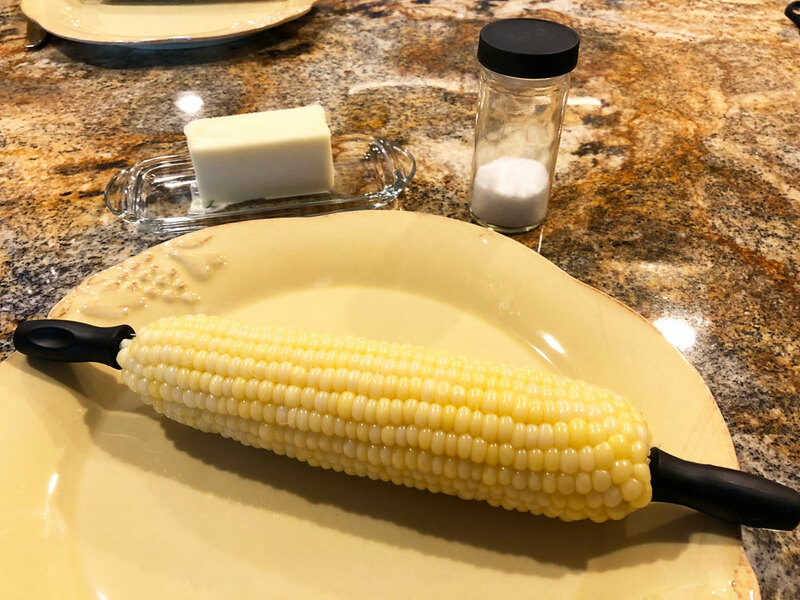 So the fact that Weber includes this feature in their corn picks does not make it an amazing product break-through, but it is a nice touch, an example of thoughtful design, and I like being delighted by little things like this. 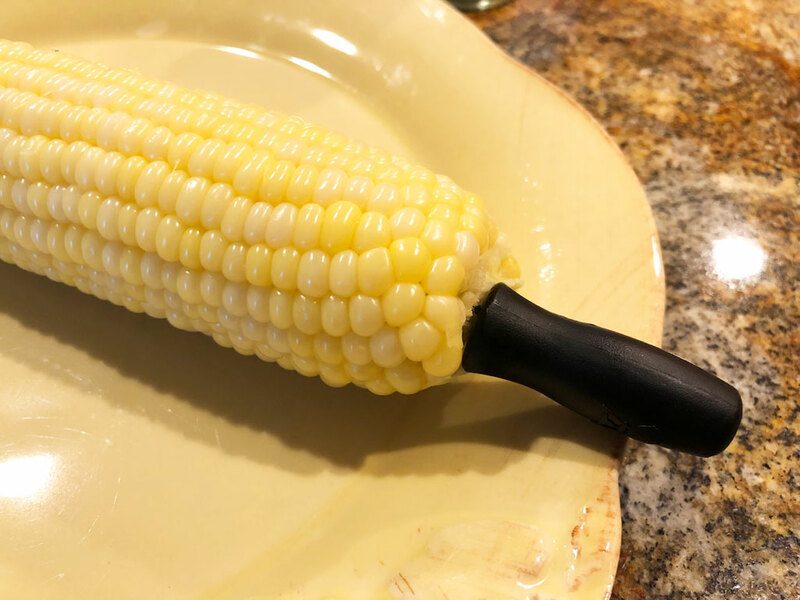 As for how these picks actually work with corn on the cob, they did exactly what you want corn picks to do. They went easily into each end of the cob. The ends were sharp, but not too sharp to feel dangerous. 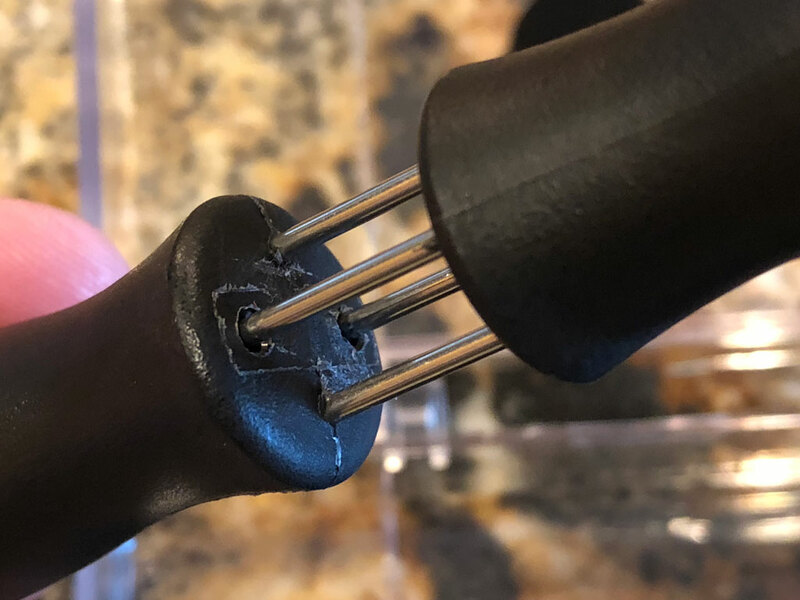 They stayed firmly in place, the handles were of good size and easy to hold, they felt secure and comfortable, as Weber said they would, and they were easy to remove and clean. 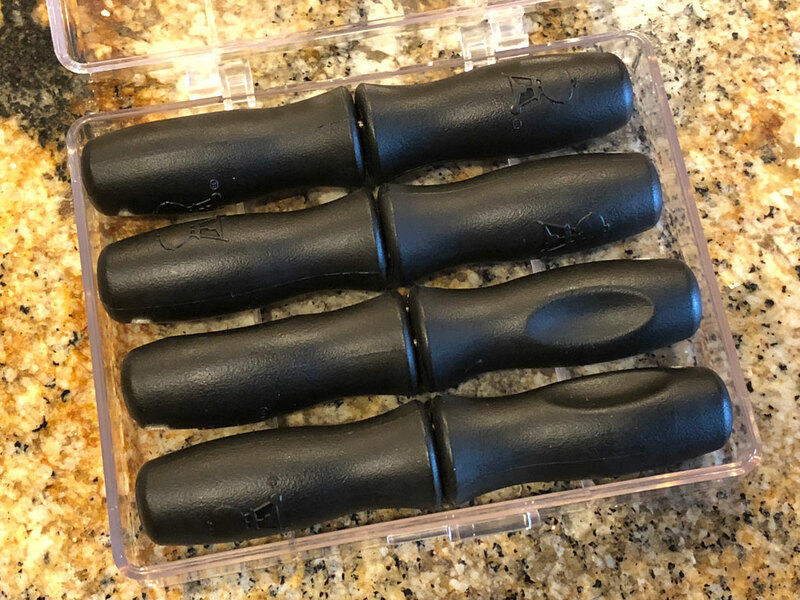 There is a “thumb groove” on one side of each handle that my wife noticed and thought was a nice feature. But as you turn the corn while eating, the groove migrates away from your thumb, so I’m not sure what the point is of a “thumb groove”. Perhaps a series of smaller groove around each handle would have been better, but this is a small point that does not detract from the overall utility of these corn picks. 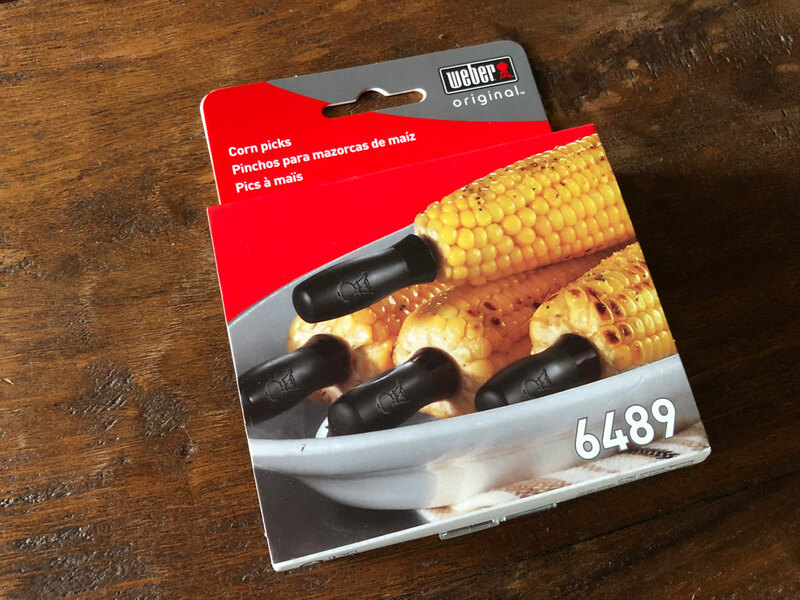 At $9.99, I give Weber 6489 Corn Picks a “thumbs up”. 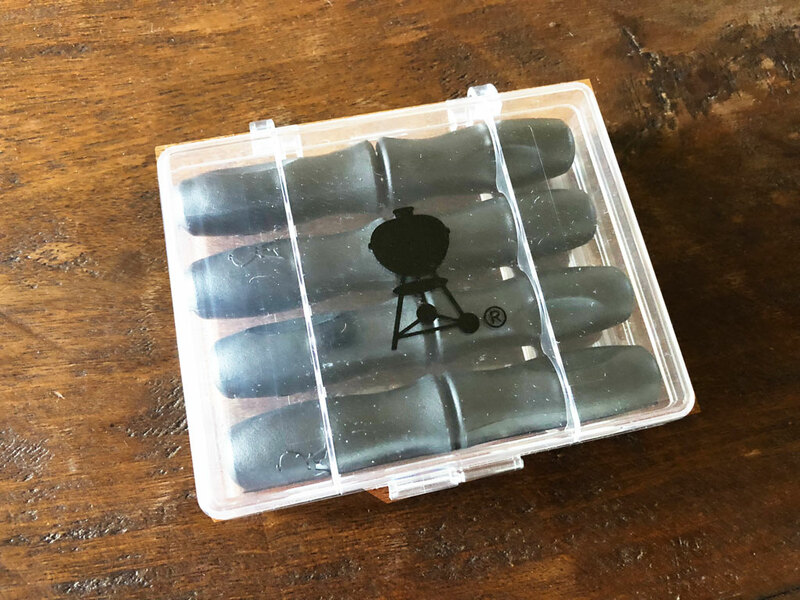 You can pay less for corn picks, but for the Weber fan these are a nice addition to your collection of grilling accessories, and the sturdy plastic storage box is a nice bonus.